Hair is not included and must be purchased in advance. Hair is not exchangeable or refundable. We offer human hair and synthetics hair enhancements. Full, partial, lace-front wigs and toppers available. 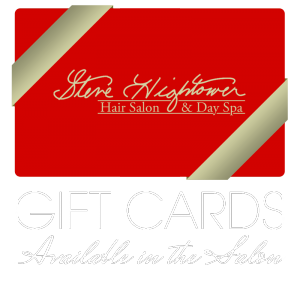 Clients looking for hair enhancements, please call the salon for a consultation with Steve Hightower. All pieces are custom ordered.